Ignition Switch Repair - Phoenix AZ - WE COME TO YOU! Is your car key sticking in your ignition? Maybe your key is hard to turn or you have to jiggle the key to make your car start up. Make sure you call us before your ignition switch problems lead to a broken car ignition and leave you stranded without a car. 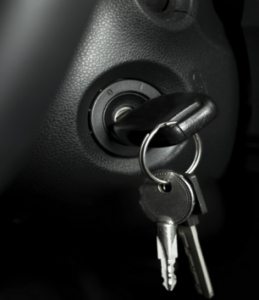 Phoenix Locksmith Pros provides ignition switch services to the entire city of Phoenix AZ. We can repair, replace and provide system maintenance for almost any type of vehicle on the market today. Give us now at (602) 325-5274 call to get a free quote! Common vehicles that we service include Honda Civic & Accord, Ford Focus, Jeep Grand Cherokee, Honda Ridge Line & Chevy Cavalier. Why use Phoenix Locksmith Pros instead of taking your car to an auto shop or a dealership? We come to you! Save money on a tow and your precious time. Our services can be cheaper in most cases, and we use top quality parts. We are a small business that is family owned, we respect and need our customers! 1. Wrong key inserted into the keyway. It is wrong to insert the wrong key into the keyway. You will realize that when the wrong key is inserted into the keyway, it might be difficult to remove the key. This means that you might not be in a position to start the engine. In this case, it is advisable to call a locksmith to help you out. 2. Worn out or jammed up wafers. You will realize that every key ignition has a set of wafers that normally index with the corresponding cuts on the key. However, with time, these parts normally become worn out. They can become packed with dirt and grime thereby causing the switch to fail. This can cause ignition problems. Car keys normally wear out with time. This is the reason why you should replace your car keys once in a while. You will realize that when the car key is worn out, it will be less effective. You might be in a position to start the engine and so on. In this case, the key need to be remade using the factory key cutting codes. This will ensure that the key is correctly cut and remains functional. This can also be a reason why your car engine is failing to start. 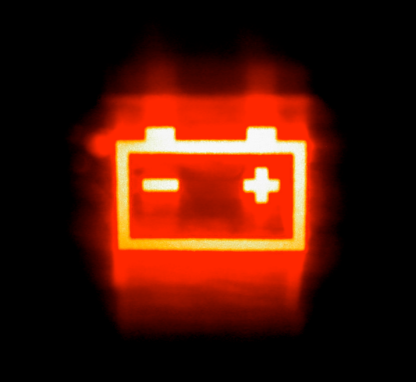 If your car battery malfunctions, your car engine will not start successfully. In addition, your car engine might fail to start as a result of the failure of the alternator which enables the car engine to start. In this case, it is advisable to replace the battery as well as the alternator. 5. Worn out spark plugs. This can also interfere with the smooth operation of the ignition. In this case, it is advisable to have them replaced with completely new parts. 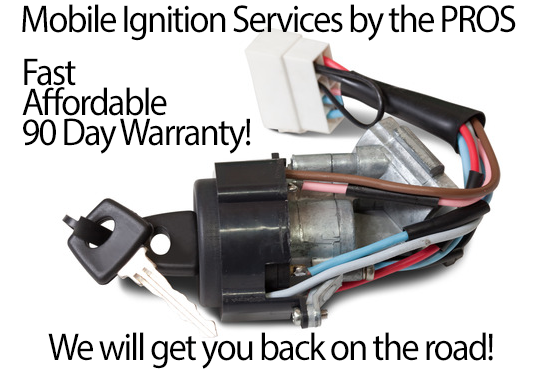 Your car’s ignition might have problems as a result of the manufacturer’s defect. The manufacturer might have failed when assembling the components responsible for making the car engine to start and stop. There might be a problem with the alternator and so forth. In this case, you need the services of an automotive locksmith to fix the problem for you. 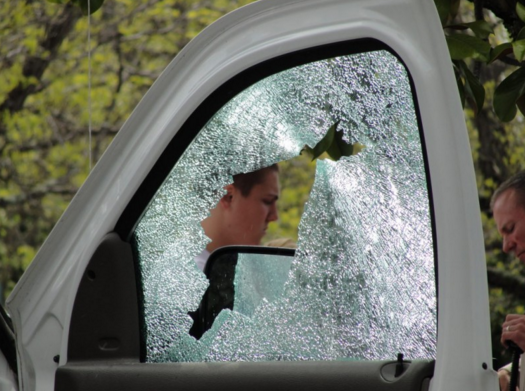 Burglars normally have an evil motive of stealing your car and other valuable possessions. A thief might interfere with the ignition switch of your car in the process of stealing. He or she can mess up with the ignition switch. This means that you need the services of an automotive locksmith like Phoenix Locksmith Pros to help you fix the problem. Those are some of the common problems with ignition switches that you might encounter as a car owner. It is always advisable to hire the services of Phoenix Locksmith Pros to help you fix the problem as soon as possible. I was at work during the ignition repair. The locksmith was very honest about the cost and the challenge of the job; he had good phone manner and made a successful ignition repair. Very happy with the experience with Phoenix Locksmith Pros and I will definitely recommend this company to anyone without reservation. Awesome company!! So glad i found you guys! Replaced my ignition and cut a new key for me on the spot! Definitely would recommend. The ignition in my Honda Civic wouldn't turn over today. I found Phoenix Locksmith Pros on google and called them. They said they would send a tech out and that he should be there in about 20 minutes. The tech arrived early and was very friendly and professional and replaced my ignition quickly. Very affordable too. Woke up this morning to find someone tried to steal my car. Thankfully they didn't get away with it but they did some damage to my ignition. I gave Phoenix Locksmith Pros a call and they sent out a tech, who arrived in less than a half hour and replaced my ignition. Very affordable and very professional! Thanks guys!! I've used Phoenix locksmith pros a few times now and I love them! They are affordable and very quick. I was having issues turning my ignition today and I remembered seeing they serviced car ignitions the last time I visited their site so I gave them a call and just like my previous experiences, they were awesome!! Professional and friendly staff and they get the job done quick. I didn't even know locksmiths offered ignition repair/replacement services! These dudes are great! It was more affordable for me to have these guys come out and repair my Kia's ignition than it would've been for me to bring it in to the shop. My ignition has been tough to turn since I got my Chevrolet, I put it off for a while but recently had the extra money to get it fixed. I found Phoenix Lock smith pros on Google and gave them a call. They were friendly and professional and sent someone out to repair my ignition very quickly. It even cost less than I was expecting. These guys are awesome, I would definitely recommend them to anyone in need of locksmith services. Gave these guys a call because I thought my ignition needed repair but it turns out the problem was my key. They dispatched a technician who arrived on time, checked my ignition and replaced my car key. They even cut a spare key for me. I will for sure be giving Phoenix Locksmith pros a call next time I need locksmith services. Thanks guys! The ignition in my Ford Focus was stuck and wouldn't turn. Thankfully i found these guys and gave them a call. They sent out their technician Jack, and repaired the ignition in my vehicle very quickly. I was impressed. Even more impressed when I saw the price! Phoenix locksmith pros are professional and affordable! Give them a call!! I was worried I was going to be too far away for Phoenix Locksmith Pros to help me but luckily I gave them a call and they had someone dispatched and on their way to me. It took less than a half hour and the tech arrived in his van and started right away on replacing my Toyota Camry's ignition. Thank you Phoenix locksmith pros! Next time I need a locksmith you will be my first call! Awesome experience with these guys!! Very fast and affordable. Had my ignition repaired in no time!